I frequently speak with extraordinary young leaders that are genuinely capable of setting the world alight, and are well on their way to doing so. It always leaves me hope-filled when I have the privilege of listening to their dream for a better world and what they are doing to take some serious steps toward that possibility. Inevitably we’ll talk about their goals and what it is that motivates them, we’ll discuss their vision, their strategy, their short term and long term plans and then marvel at how, if it all comes together, they’ll get to the end of their life and be receiving the nobel peace prize in their chosen field! There are few things more exhilarating than dreaming with another how the impossible can become possible. But the more time I spend with incredibly gifted and talented leaders I am increasingly aware of the potential for their shadow-side to dominate their motivation. Leaders are ambitious by nature and for the most part this is how they get (good) things done. It is not uncommon for me to discover that a carefully articulated dream with seemingly good intention turns out to be a catalyst motivated more by an individuals desire for personal greatness. Don’t get me wrong, I am NOT anti-personal-achievement. But this desire for notoriety is a game changer, and not in a good way. Here’s some reasons why I think the pursuit of greatness can work against you. In his book Humilitas John Dickson unpacks the virtue of humility (check out the clip below). He articulates, brilliantly I might add, the sentiment that the most influential leaders are those who understand that it is not ALL about them, and with genuine humility live as though this is true. I tend to agree with him. A genuine focus toward the other communicates that the leader is motivated beyond personal gain making them and their dream incredibly attractive. The opposite to this is of course equally true, no one wants to be led by a self obsessed glory seeking monster, and the quickest pathway to becoming that is the pursuit of personal glory. A leader cannot achieve their goals without the support and contribution of others. If they are to accomplish a desired outcome they need followers who will buy into their dream and be a loyal to them in pursuit of that. This requires high trust between the leader and follower/s and a clear understanding that ALL are integral to the success of the mission. It also helps if they stand to benefit from the success of the dream (or their version of it) as much as anyone else does. The quickest way for a leader to lose that support is to communicate either in word or deed that the goal is actually for the personal gain of the leader and the leader alone. 2 – Greatness is a bi-product of ones actions, it cannot be strategically attained. When I think of some of the greatest people to have lived I immediately think of those that were committed to a bigger and better dream for all of humanity. 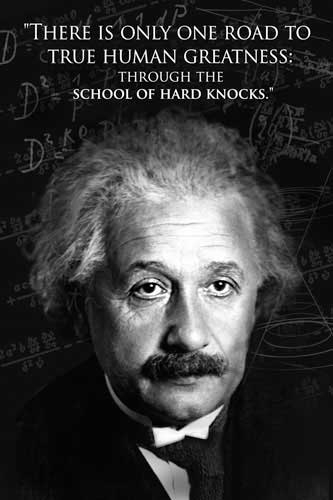 People like Mother Theresa, Ghandi, Einstein, Mandela, Sir Douglas Nicholls. 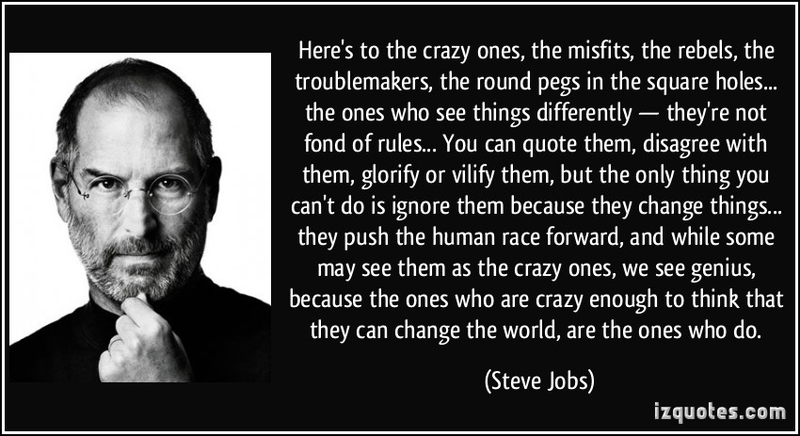 Some might argue this is also true for some of the greatest business leaders of the modern era like Steve Jobs and Bill Gates for example… neither list is exhaustive nor any of them perfect, but they are certainly people that can be described as having achieved greatness in their time. They simply lived in a way that would bring about their dream for humanity – and others followed suit as a result. There is however a common thread to each of their stories. Each life demonstrates the common theme of sacrifice. They did not set out to be great. They did not plan to attain riches and royalty as a result of their greatness. In fact history records many truly great leaders refused to embrace the accolades thrust upon them as a result of their achievement. They did however count the cost, lay down their lives and decide each day to live their vision into reality. Truly great leaders will try new things and be prepared to fail. There is a hint of insanity to this. It goes against mainstream culture to try things that are not yet tested, proven, and accepted as fact. And why? Often because leaders view failure as the antithesis of greatness and with risk comes the possibility of failure. As a result RISK has become a four letter word (check out my previous post on RISK avoidance and its effect on creativity for more on this). Yet those that have done truly great things have been prepared to take risks, be they small or large risks, there is an acceptance that it will require attempting the untried and believing there will be a positive impact for the greater good. They’ll risk failure, they’ll risk reputation, they’ll even risk their freedom. But they do it with the greater good in mind. They know that there is an alternative reality to attain and they put it all on the line in the hope that it will come to be. I am convinced that more leaders must prioritise these attributes. Goodness, humility, service and character are evident in ones everyday small decisions. One must choose these virtues over immediate pleasures and more convenient options. To live this way requires faithfulness to the cause and a decisive intentionality. Over to you. 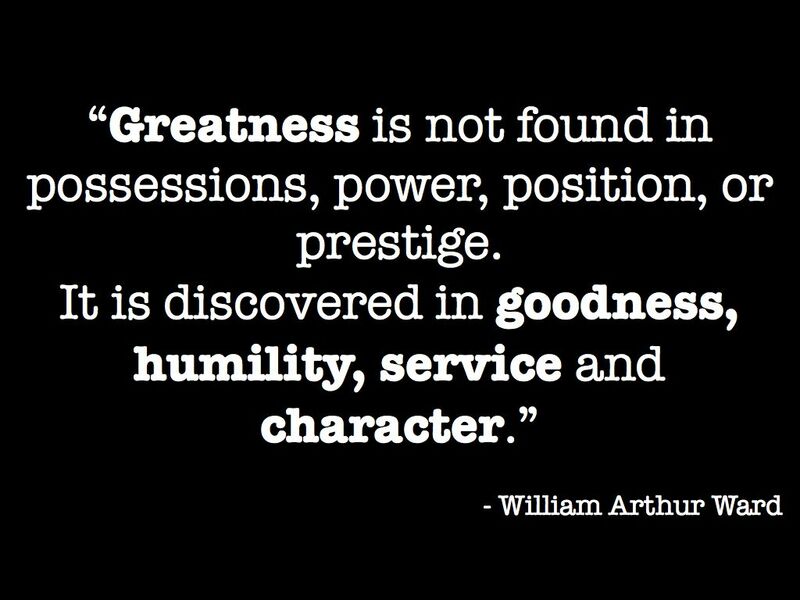 How have you seen greatness in others? 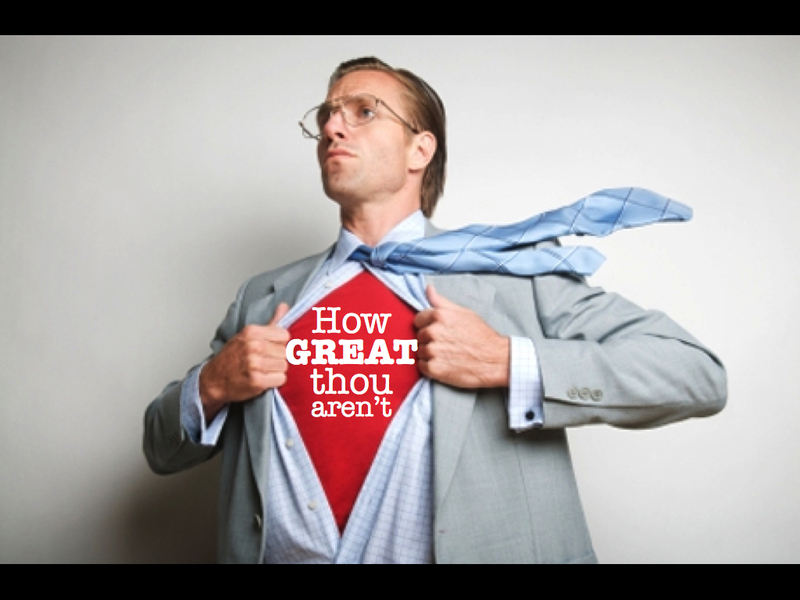 What do you think it takes to be truly great? Feel free to comment below… I’m keen to know you thoughts. This entry was posted in culture, leadership, risk and tagged Culture, Greatness, Leadership, Risk, wisdom. Bookmark the permalink. Many a time I have told the story of Nelson Mandela’s release from prison. 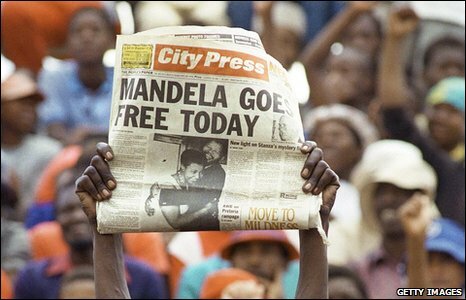 After serving twenty seven years for daring to stand against apartheid, he was finally released. February 11, 1990. It was a remarkable day. A day where a man walked into freedom and the world was there to greet him. Even more remarkable though was the freedom his nation would inevitably experience as a result of his release. On that day chains were broken, eyes were opened, wrongs were acknowledged and lives were set free. Whilst it would take another four years before apartheid was officially over turned, his release was indeed a catalytic moment in the future redemption of his people. Nelson Mandela walked the path into freedom and he carried the freedom of his country with him. He was beaten, but not defeated. He was muted, but never silenced. He was isolated, but never alone. He was abused, but not beyond repair. He was imprisoned, but has been and will forever be… FREE. I dreamed of one day meeting him, shaking his hand and thanking him for leading one of the most significant human rights movements of the modern era. Not that my thanks as a white Australian is as warranted as one of his fellow countrymen, but as one committed to the betterment of humanity through the restoration of of the world I have always been inspired by Mandela. I would have given anything to look him in the face, to see the lines on his skin caused by years of faithfulness, to listen to the stories of his life, and to look into the eyes that stared adversity in the face; and won. It just seems right that I would say ‘thank you’. Mandela is a hero of mine, a beacon of light who reminds us that it is possible to make a significant difference in the world even when our enemy has us backed-up against the wall. As the world mourns the death of Mandela, I’m fascinated by the many articles and media reports that are circulating regarding his extraordinary life. Some are honouring of him and his cause, some are indifferent, and many simply reporting his death as another piece of news because he is a world leader. I have to wonder, does this typify the opinion of the average person and the general population toward Mandela? Is it possible that someone as remarkable as he can become simply another news item to be reported? Surely not. Surely the life of Mandela is worth far more than that. You see it is possible to be free yet live as one imprisoned, Mandela knew this well. The day he was released from prison he was confronted with this reality. Mandela had every shade of human dignity removed from him over the course of his twenty seven years in prison. It was recorded on his day of release that he emerged an angry and bitter person. There was however a ‘moment’. As history records it, Mandela was informed by thirteen words that would forever change his life, his nation, and the world as we know it. Those words? The life of Mandela serves as a constant reminder that imprisonment is not just about physical restriction and isolation, his life demonstrates the power of a person that is prepared to pursue an alternative future motivated by hope. And this is freedom. Freedom from a system that would otherwise continue to control him. Freedom from his own demons that would otherwise continue to torment him. Freedom from vengeance that would otherwise thwart his cause. And freedom from evil that will triumph when good people are not free to live different! It seems our culture is somewhat confused about freedom. Many are afforded freedom yet frequently make choices that cause them to live as though they are imprisoned. Others seem more concerned with their right to be free, than they are concerned for actually living free. Either way, the outcome is the same. A distorted view of freedom that will not breathe life into the lifeless and bring light into the darkness. And then there is Mandela… A man who knew what it meant to live free and to be a giver of light and life in order that others would also be free. 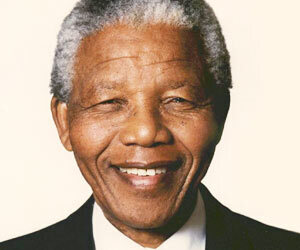 Vale Nelson Mandela. In my mind you were not just a freedom-fighter, you were freedom-giver. May your dream live strong, and may your legacy be found in our freedom. This entry was posted in culture, Freedom, leadership, peace and tagged Culture, Freedom, Leadership, Madiba, Nelson Mandela. Bookmark the permalink.